The Cook Islands U16 Women’s National teamed earned a 2-0 victory over the visiting U16 Women’s squad from Tahiti in Saturday’s first international friendly at the CIFA Complex in Matavera. 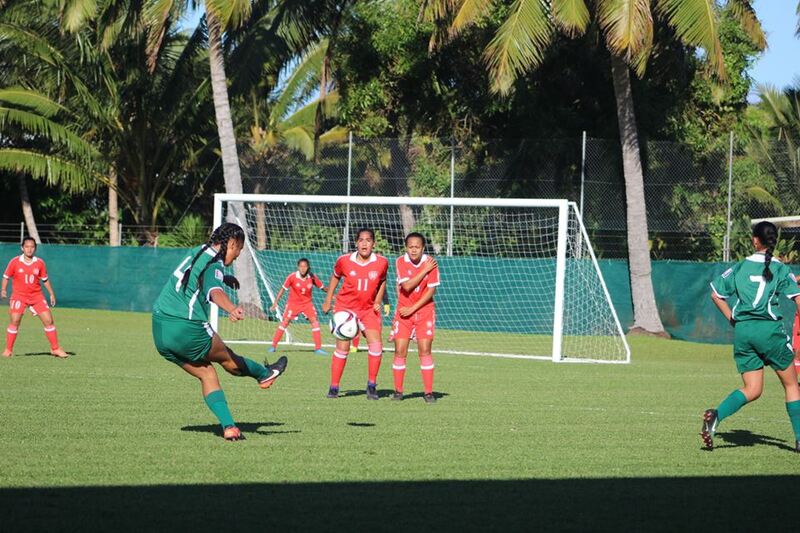 This win was an encouraging start for the Cook Islands team, which is preparing for the OFC U16 Championship. It will also give them growing confidence and with that will be looking to continue their show of dominance and close out the 2nd and final match scheduled for Tuesday 4th July 2017 at 4:30pm, again at the CIFA Complex. While the entire match featured a few close opportunities from both teams, it was the Cook Islands national side who opened the scoring midway into the first half. For the visiting team, not only did the midfield do a good job of controlling possession, but the team created several quality chances for the strikers up front. Tahiti, however, need to capitalize on their opportunities in the next match if they want to redeem themselves. In the second spell of the friendly, the Cook Islands team returned on the pitch determined for a win and managed to get on the board, with a breakaway goal giving them a 2-0 lead. It was the Tahiti U16 women’s side who came out of the blocks firing for the remainder of the half, with eagerness to level or to take the lead but weren’t able to do so with the defense of the home team all there, the back four held their ground as the home team held on for the win. Fans are invited to witness the second match on Tuesday. The Cook Islands Football Association celebrate Pink Shirt day to promote Anti-Bullying.